With more accountability and greater pressure on school governors, we ask whether it is time this volunteer role became a paid one. Appointing headteachers, legal responsibilities, examining how the school budget is spent, scrutinising results and progress of pupils: these are just a few of the extensive number of tasks for which governors are responsible. Not forgetting the expectations of Ofsted, the government and the law. This is a job that comes with unsociable hours and no pay - would you be a school governor? Good governors can be hard to recruit and often harder to retain. New governors, full of enthusiasm and optimism for their new role in a school, require a proper induction to the school and their role. They need to quickly become familiar with the school improvement plan, latest Ofsted report (or summary) and committee structure of the GB. Good governance can be (very) simply put as reading relevant information, raising areas of concern, asking questions when you don’t understand, listening to other points of view and trying to do things better. But what this actually entails is so much more. With increasing responsibility and accountability comes a need for the GB to possess particular skills. 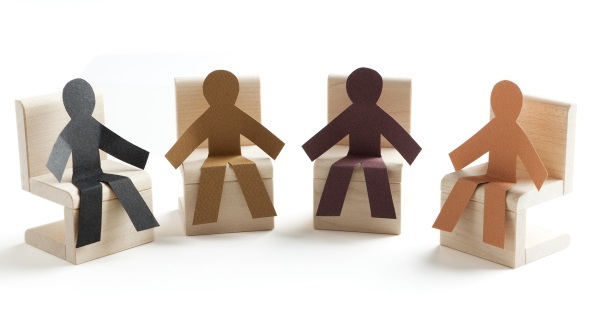 If a board is going to work effectively, it needs governors who are comfortable with a range of tasks: from monitoring budgets and analysing data to questioning the leadership team and communicating with parents. A successful team contains a balance in skills and experience and schools often carry out skills audits of their GB to determine where they are lacking knowledge and expertise. This professionalism in the role of governor was echoed in recent findings by Reform. A survey of a number of academy chain chief executives found attributes such as financial, accounting or legal experience and leadership skills to be highly valued. The importance placed on skills-based recruitment found in the survey is particularly evident among academies and trusts. 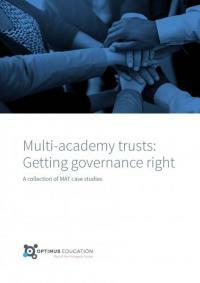 As an increasing number of schools become academies and then join multi-academy trusts, and the government continue to favour this, the need for high-quality skilled governance has never been more apparent. Governor tasks of setting and monitoring strategic priorities and overseeing finances are particularly challenging in academies, as they hold financial liabilities such as for pensions, which may otherwise have been taken by the local authority. Being ‘business savvy’ as a governor and knowing what a business plan looks like and how to create one is of increasing value to schools. If this recommendation were to be carried out it would require some pretty big changes, from the recruitment process itself to the performance management of governors. What procedures would be followed in a situation of poor performance and/or ending the contract? When hiring governors, schools, academies and trusts would need to consider where to source candidates. Evidence may also be required to explain why an applicant or interviewee was unsuitable. What wage would be offered to the role of a governor? This would likely differ between one organisation and another, as would any additional benefits, so schools would need to prove that these are reasonable and appropriate. Time. Is there ever enough of it? The survey found that some chief execs said the problem was not having the skills but having the time. Employees are entitled to a ‘reasonable’ amount of time off if they’re a governor but the definition of ‘reasonable’ will no doubt vary from one organisation to another. As a governor you may be required to sit on a panel in a disciplinary hearing which takes place during your working day. As a paid employee of another organisation your priority, and employment contract, sit with them so it can’t be a surprise to your school when you are unable to attend. It’s asking a lot of unpaid governors to expect them to keep up with relevant (and regular) policy changes, on top of their usual day-to-day responsibilities outside of the school, let alone expect that they can sift through hefty reports at short notice in advance of a governor meeting. There are no doubt many governors who are happy to give up their time and who do so extremely well, fulfilling their responsibilities to the school and its pupils. But while this remains a volunteer role it can be extremely hard to account. Kirsty Watt, head of Academy Ambassadors, advises boards ‘to be ambitious when recruiting and have a proper role specification.’ As more and more is required of governors and schools seek specific skills and expertise for the role, finding people with the knowledge and the time, as well as desire to give this up through their own goodwill, will become more challenging. If we are to see this as an increasingly professional role, with particular skills required to fulfil it and objectives set to achieve targets, then it would seem that the time to pay governors for their carrying out their responsibilities is in fact overdue. ​Could you be a MAT CEO?